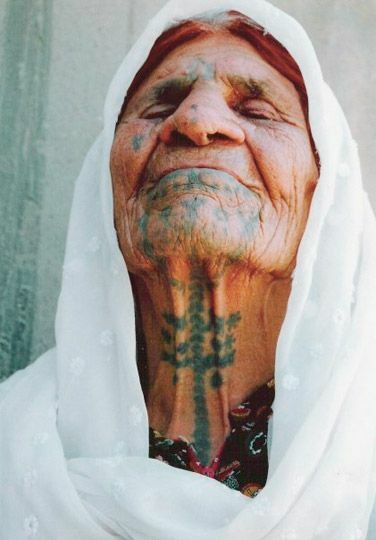 Kurdistan: The ‘tree of life’, which in ancient times is said to have reached the skies, is one of the most common symbols used in Kurdish tattoos. 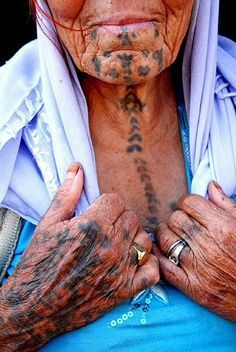 It represents immortality. 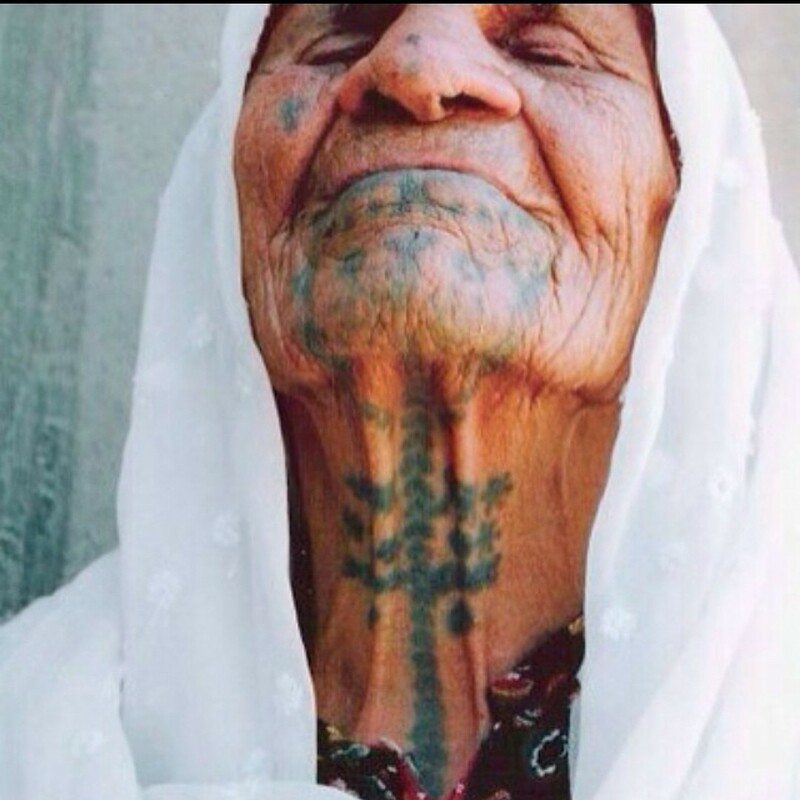 This tattoo starts between the breast and climbs upwards towards the chin like a vine.